This just in. NextGen Player has received news from SEGA of America on an opportunity for Xbox 360 owners to get their hands on limited early access codes for the Bayonetta demo. You’ve heard about the Japanese release of the game, read the blogs, the forums, and watched all the trailers - now is your chance to get your hands on the free Xbox 360 Demo of Bayonetta weeks earlier than everyone else! All you need to do is complete the free SEGA Pass registration, submit your details, and you may receive a free voucher code to redeem for your download of the early access demo of Bayonetta! This is your opportunity to get some hands on time with this highly anticipated, groundbreaking action game - this is not to be missed! HURRY - we will only be giving away 40,000 codes of the early access demo of Bayonetta (first come, first served)! Registration will be open from November 9th 2009 and close November 13th 2009. 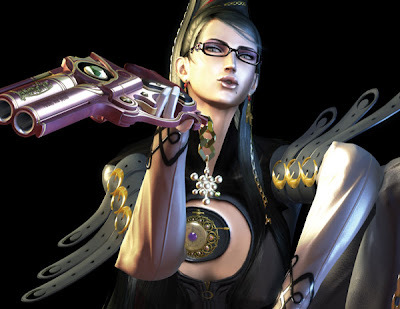 We will notify the recipients of the early access demo of Bayonetta as early as November 16th 2009. This promotion is only available to those in the US and Canada. Best of luck to everyone who registers - and big thanks to you, the fans, for enabling us to offer this special promotion!